Let me introduce you to the old me. I used to put on suits to accompany my boss to board meetings with important people at banks in downtown San Francisco. I dreaded suit days. Lugging an oversized projector bag in three inch heels from one end of the Bay to the other was not my idea of a good time. Then, of course, there were all the times I donned my suits for job interviews… Let’s just say I’m pleased teaching does not often call for a suit. Today was one of those rare occasions and it felt surprisingly good, surprisingly meaningful. When I heard the all-call for career attire, I considered dressing up for something outside the box, but then I thought about what my students need to see. I decided they needed to see a woman in a suit. Not that they don’t see this from my lovely principal and other administrators, but I felt they needed to see it from me so we could have a discussion about why I used to wear a suit and what it should look like to go to a job interview, (as well as other pertinent scenarios like the reality that heads of businesses and future presidents all wear suits). That one made me laugh, a lot. The first presentation I ever created for the heads of a bank included a mistake where I accidentally left out half of the data analysis. No, I was not fired. Yes, I was embarrassed. The funny thing in my decision to wear a suit today is that if I were teaching at the private school where I used to sub, I would probably tell the students about the merits of being a teacher or a writer or some other passionate endeavor that contradicts the push to pick a career based on financial security. However, with these kids, my kids, I give them that version of reality everyday when I teach writing, when I talk about why I became a teacher, when I encourage them to follow their dreams. Today, I wanted to show them another version of myself, one that still exists dormant beneath the surface. 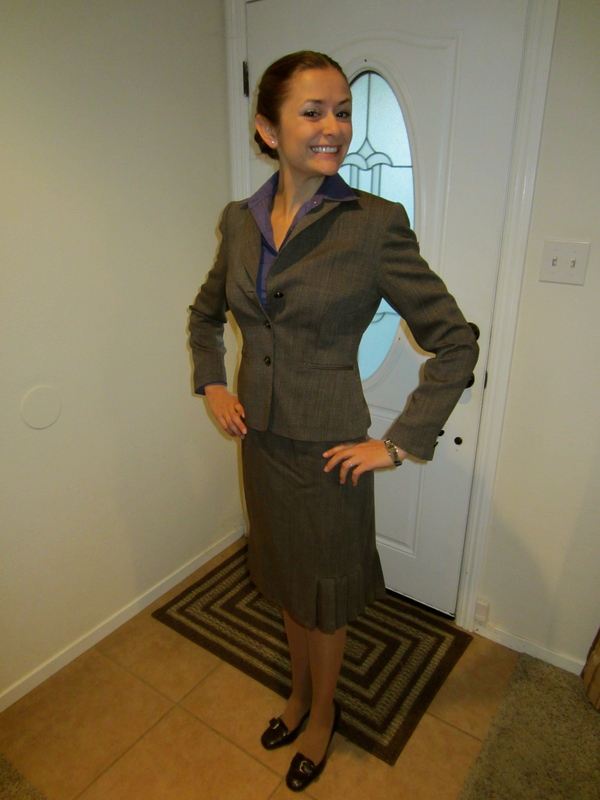 I wanted to show them that a woman can put on a suit and mean business. Haha, kind of how I felt.